Dr. A. P. J. Abdul Kalam was a man who dreamed and whose passion in life was to inspire others to dream. 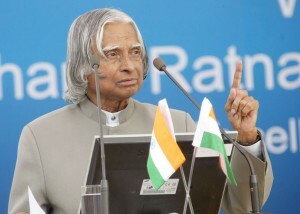 He was a great scientist, thinker, writer, motivational speaker, the missile man of India and its 11th President. 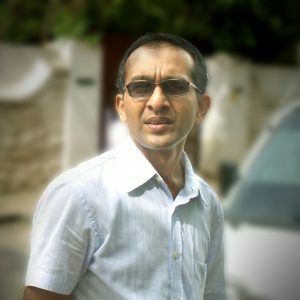 What makes his life an inspiration is that he started from humble beginnings in a remote village in South India, Rameswaram. That was the place where he had his first job of collecting bundles of newspaper thrown from a passing train. Many decades later he still recollected and felt the surge of pride in earning his own money for the first time. But then there were many people who influenced and inspired this great son of India to become a dreamer and become known as the missile man of India. Let me just mention two of these people who moulded and mentored Abdul Kalam. Iyadurai Solomon was a great teacher because he instilled in all the children a sense of their own worth. It was he who inspired Abdul Kalam saying that “With faith, you can change your destiny.” Thus Abdul Kalam began to aspire for greater things in life. He believed with all his heart that he too can make an impact on society even though his parents did not have the benefit of education. Abdul Kalam who was always fascinated by the mysteries of the sky and the flight of birds from early childhood, because of the influence of Iyadurai Solomon, began to dream of soaring up into the skies. And he became the first child from Rameswaram to fly. Another person who influenced Abdul Kalam greatly was Dr. Vikram Sarabhai. Dr. Sarabhai, when interviewing Abdul Kalam for the post of rocket engineer, was one of the first persons to see the possibilities that were lying hidden in Abdul Kalam. He saw Abdul Kalam fit into a larger picture. The whole interview came to Abdul Kalam as a total moment of truth where his dream was enveloped by the larger dream of a bigger person. The rest of the story is how Abdul Kalam became the missile man of India, inspired and ignited by the great visionary scientist Dr. Vikram Sarabhai. Let me conclude by saying that great dreamers like Abdul Kalam had people influencing him positively in life. But Abdul Kalam’s genius was that he did not try to hold on to dreams selfishly. Instead he burned out staying active till his last breath and spreading the inspiration to dream to all. #In 1997, Kalam received India’s highest civilian honour, the Bharat Ratna, for his contribution to the scientific research and modernisation of defence technology in India. #While delivering a lecture at the Indian Institute of Management Shillong, Kalam collapsed and died from an apparent cardiac arrest on 27 July 2015, aged 83. Previous PostPrevious Motivational Speech: When Opportunities Fail to Knock!